Deaf parents cannot hear their babies cry, but this shouldn’t be a problem if you have the right kind of baby monitor. Baby monitors can be linked to powerful strobe lights which flash to attract your attention, or to a vibrating unit which will alert you during the day and wake you from your sleep during the night. There are also ‘baby cams’ which connect up to your TV set to allow you to check on your baby from another room. Deaf mum, Pippa Greed has tested some baby cams, you can read her review here or you can download her review in word document format here. If you need baby monitoring equipment, contact your local social services department. They often have equipment you can borrow and can provide advice and assistance. You should try if possible to breastfeed as your own breast milk is exactly the right food for your baby. Research suggests that babies do best if they have nothing but breast milk for the first four to six months of life. If there is a history of diabetes or allergies in your family, breastfeeding helps reduce the risk of your baby developing these problems. Breastfeeding helps protect your baby from infections, and also helps reduce the risk of you getting breast cancer, ovarian cancer and developing osteoporosis (brittle bones) in later life. 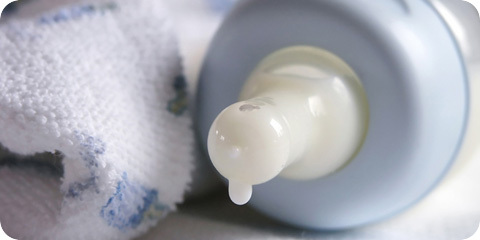 If you decide to feed your baby bottle milk, you must use special formula milk which is produced especially for babies. You can get help and advice about breastfeeding and bottle-feeding from your midwife, health visitor or doctor. Some organisations have produced useful leaflets/ booklets about feeding and nutrition for infants and toddlers. The booklet is easy to understand and has lots of pictures. To order/purchase a copy of I Want to be a Good Parent – Book 2, Children need healthy food ISBN 1 873791 41 0 contact Plymbridge Distributor/BILD. Also DPPi have useful easy to read leaflet on feeding that comes with the DVD. Other useful information, please check our Resources and Links section. Your baby will need to be kept warm and clean. If you attended ante-natal classes, you will have been shown how to change baby’s nappy and bath him. It is also important to keep baby warm, but not too hot, as this can be dangerous. Your health visitor, midwife or doctor can give you advice about taking care of your baby. If you have any questions or worries, do ask them to help you. Some organisations such as Plymbridge Distributor/BILD has produced some very good booklets as follows which you may find helpful. The booklets are easy to understand and have lots of pictures. Tips for using nappies, dealing with nappy rash, washing and cleaning baby, and potty training. Covers the skills needed to keep babies and young children safe in and around the home and in the local community. Includes an overview, getting ready for baby, providing stimulation and encouraging independence. Written for Deaf mothers and mothers-to-be by RNID with NCT (National Childbirth Trust), this provides clear information on the key things you need to know about when you’re pregnant, including: Planning a baby; antenatal and postnatal care; labour and birth and your baby’s first few days. It provides clear explanations for all medical words, and plenty of illustrations and photos. Stories from Deaf mothers, including hints & tips and up-to-date information on your rights under the Disability Discrimination Act 1995. After you have your baby, you will feel very tired. You may not be getting much sleep because the baby is waking you up during the night. Some women experience the ‘baby blues’ after they give birth which makes them feel very sad and tearful. This may last for a few hours or, at most, for a few days and then it disappears. Some mothers (about 10%) continue to feel down and develop postnatal depression. The depression often starts after the mother has left hospital and been discharged by the midwife. Mothers who are suffering from this illness often feel that they can’t cope with their baby, they feel sad and cry a lot.